Samsung upcoming Galaxy A7 (2018) new series 18:9 Infinity Display bezel-less full screen design leaks specs and It is expected to come with a fingerprint sensor on the back like Galaxy S8 since the phone will come with minimal bezels on the front. It is rumored to come with a metal frame and a glass back. 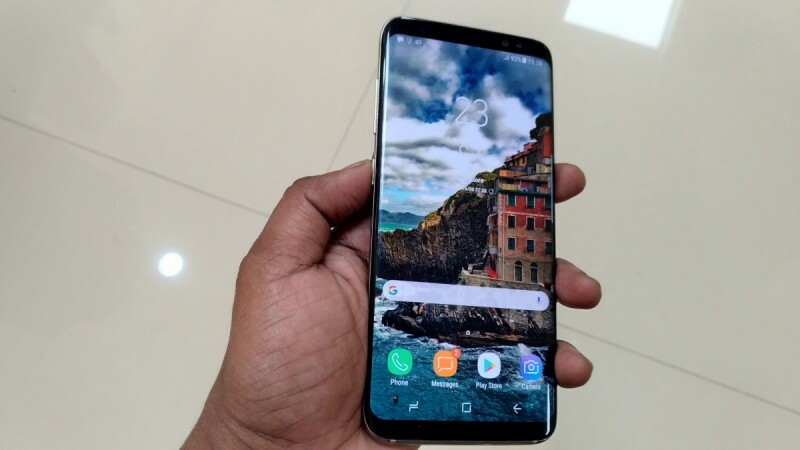 The Galaxy A7 (2018) gsmarena listing specs a 6-inch (2160 x 1080 pixels) Full HD+ Infinity Display bezel-less with Corning Gorilla Glass protection which along with excellent viewing angles provides a unique visual experience. The screen is bright and vivid and offers great legibility even under bright sunlight. Another important aspect of the handset is that it features Always-On display that lets you read information without turning the screen on. 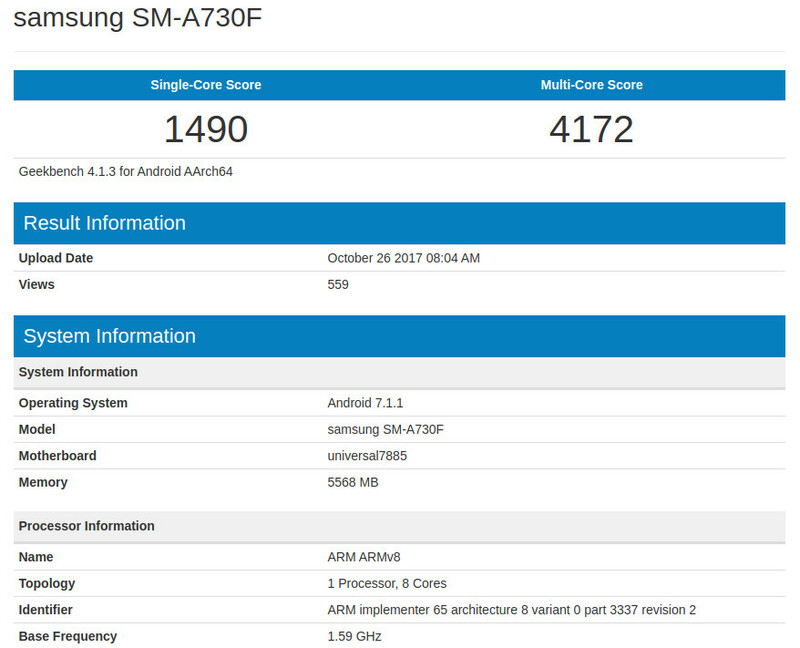 Samsung SM-A730F has surfaced on GFXBench listing that reveals that it will be powered by Exynos 7885 14nm processor with Mali-G71 GPU and pack 6GB of RAM. Earlier rumors point a 6-inch FHD+ 18:9 Infinity Display with bezel-less design by Samsung and has 16MP front and rear cameras both. The Samsung Galaxy A7 (2018) is expected to be announced by the end of this year or early next year and expected price under in USA for $450 ( Under India Rs. 30,000) it will be first available in Canada , USA ,UK , Australia , China and India in early 2018.